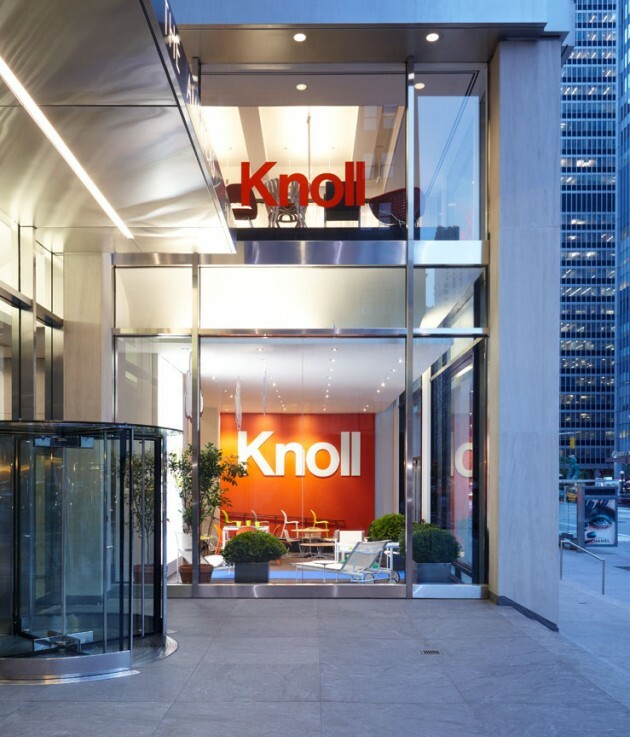 This week, Knoll New York celebrated the opening of its new flagship showroom and offices, just a few blocks from Central Park and around the corner from the Museum of Modern Art, in the heart of Manhattan. 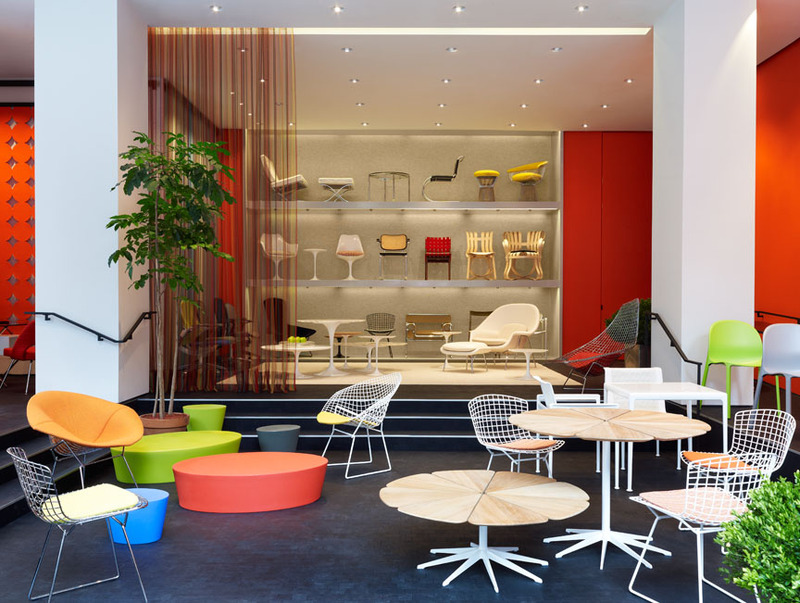 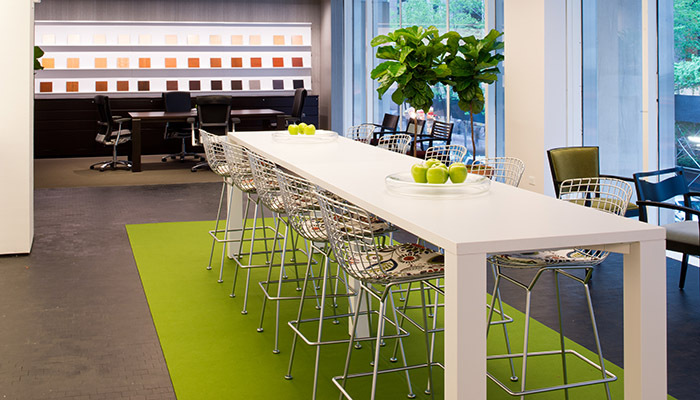 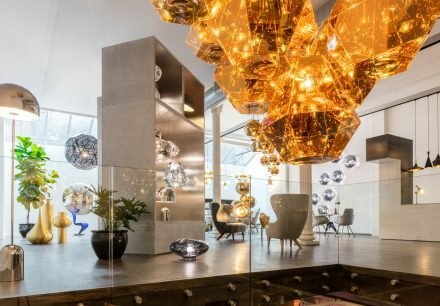 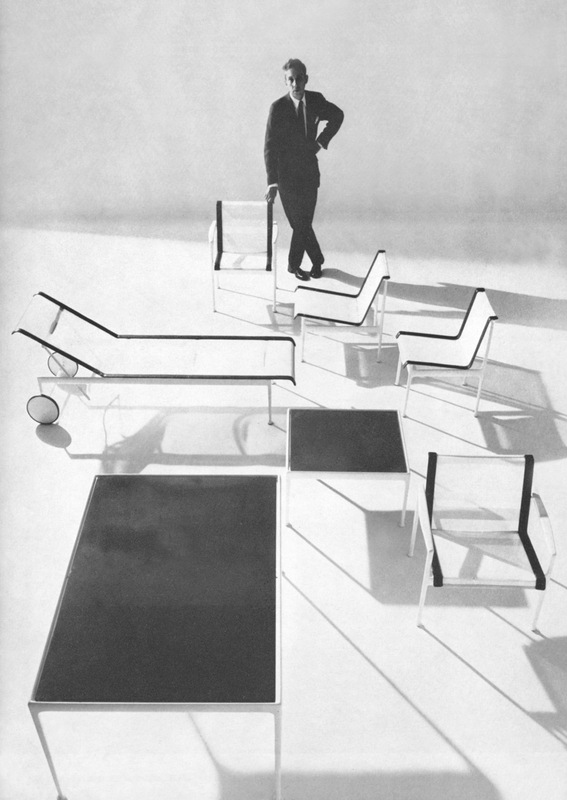 Designed by the Knoll design team and Architecture Research Office, a fellow recipient of the Cooper-Hewitt National Design Award, the showroom takes advantage of floor-to-ceiling windows, and is inspired by precedents set by founder Florence Knoll. 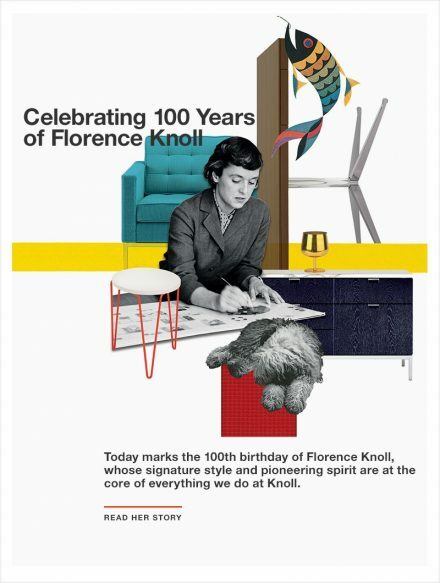 Knoll worked with Architecture Research Office to create a shopping experience that combines intelligent planning with the sensitivity to craft and materiality that are at the heart of the Knoll brand. 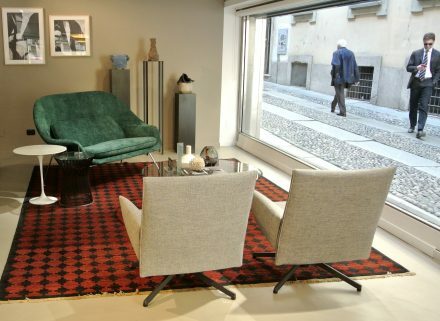 The architects used end-grain oak flooring and bright colors and fabrics to make the shop feel more like a living room. 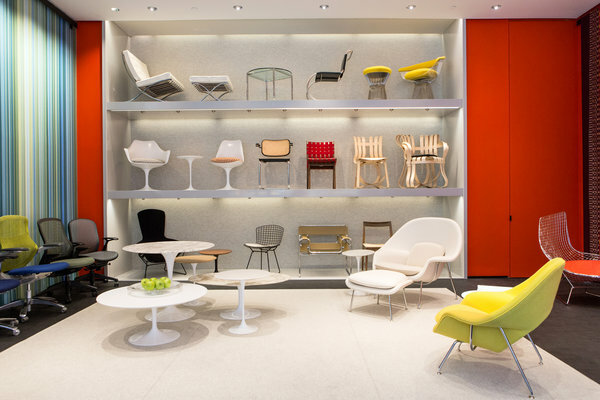 Illuminated lacquer shelving lines the back wall, taking advantage of the double-height space to display rows of chairs, including classics by Mies van der Rohe, Marcel Breuer and Eero Saarinen. 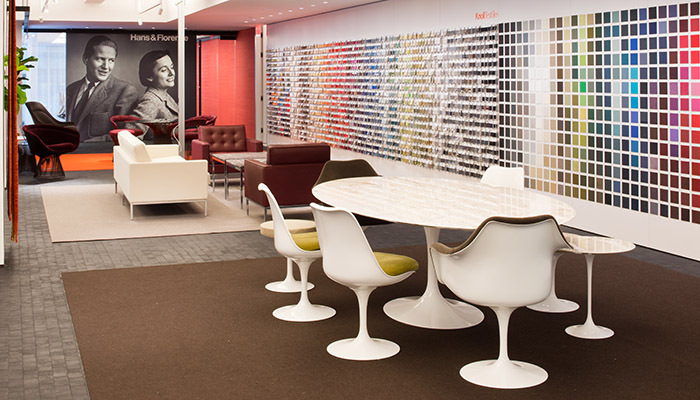 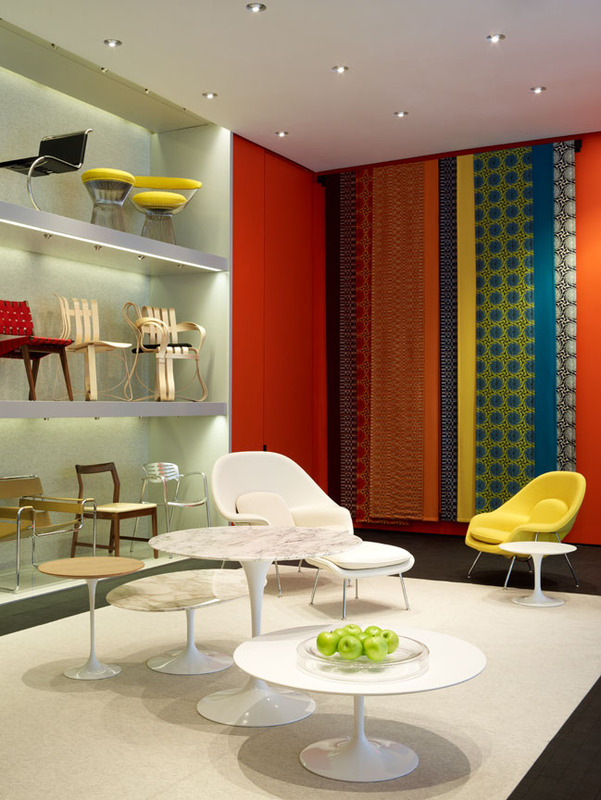 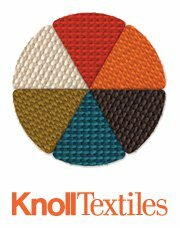 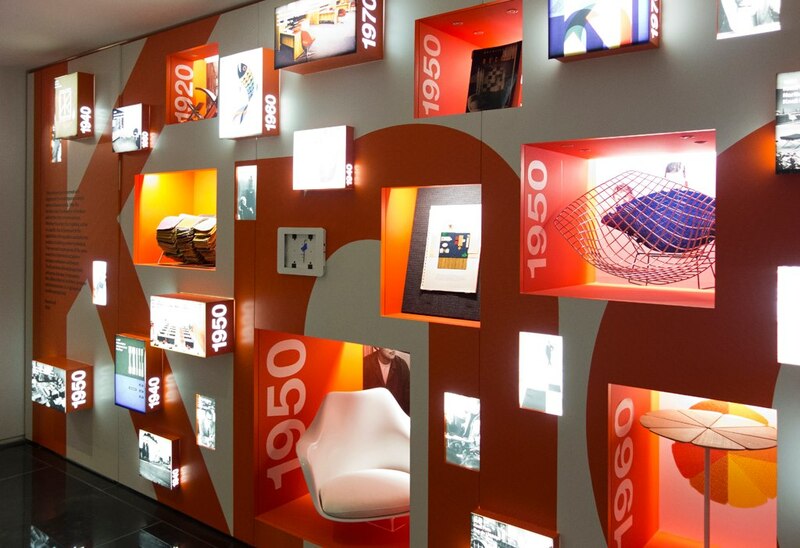 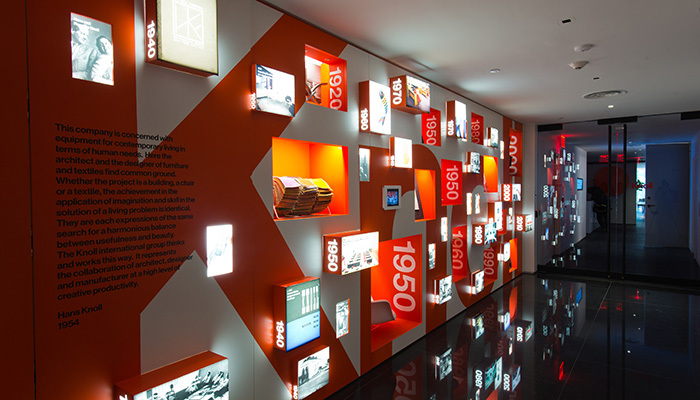 Vibrant textiles and finishes draw visitors through the space, a timeline, designed by graphic designer Project Projects, tells the Knoll story through graphics, textiles and objects. 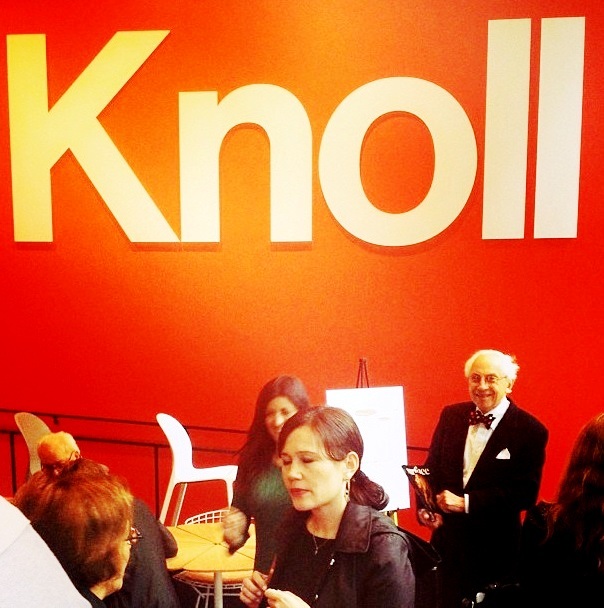 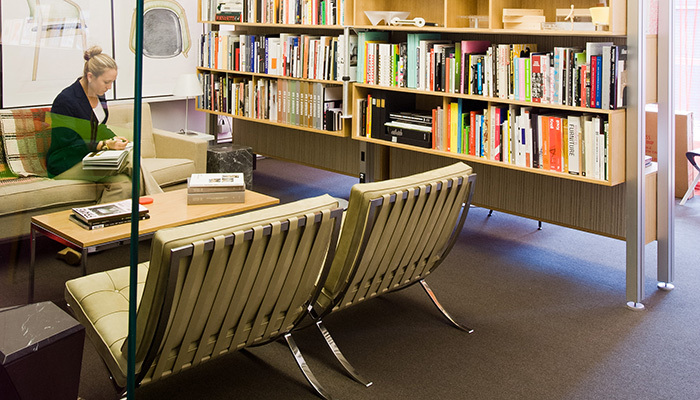 The new space is both a workspace and a showroom and features the Knoll Home Design Shop, expressing what makes Knoll unique in history, in planning, in materiality and furniture solutions. 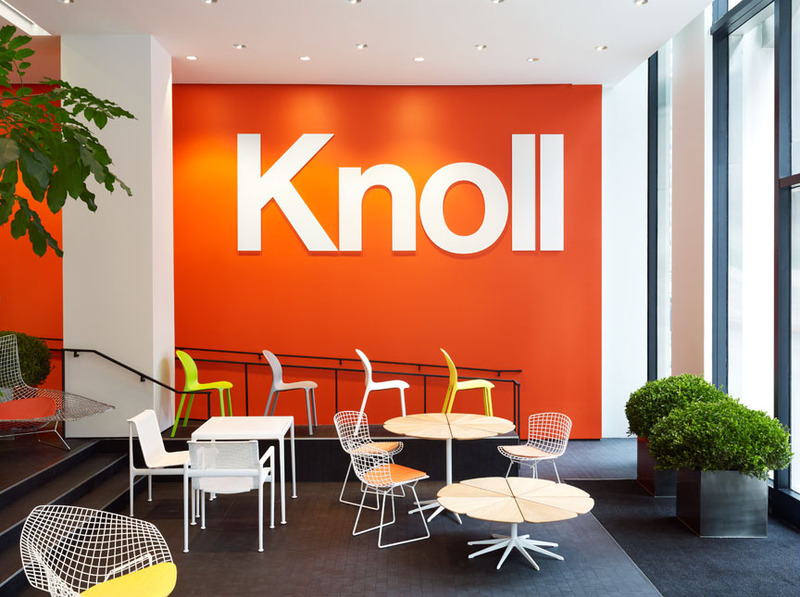 The space also presents Knoll in the context of a working office, applying research and learning based on customer experience. 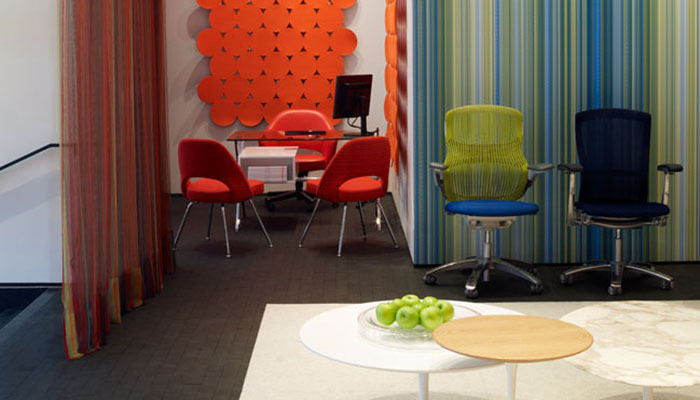 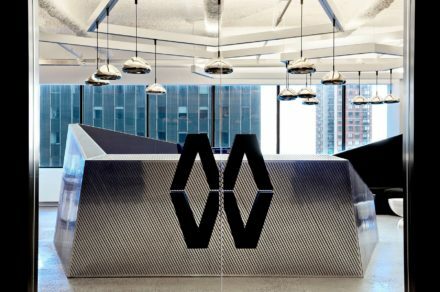 Offices at the new location boast a range of alternative primary and collaborative work environments that support a variety of work styles. 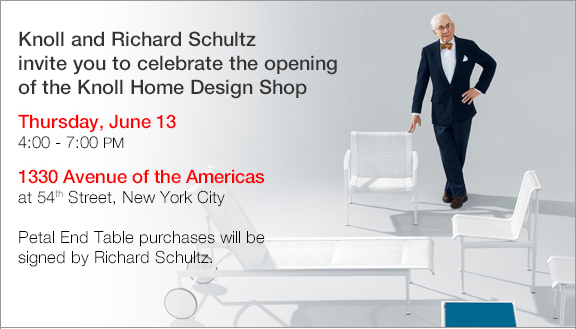 For the official opening, Richard Schultz’s outdoor furniture took center stage – with Richard himself enjoying the evening. 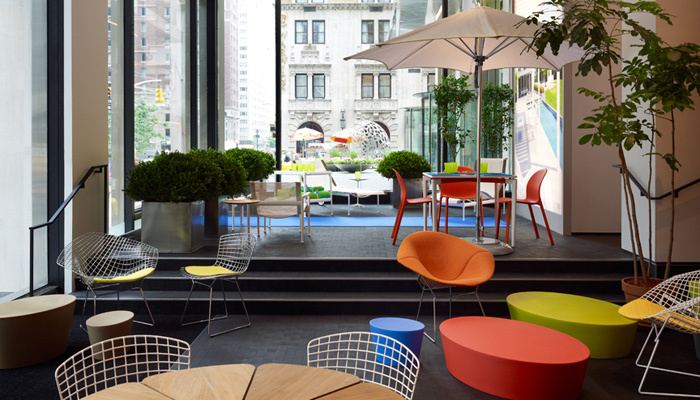 Tiffany & Co Piazza Duomo store was transformed into an intricate greenhouse inspired by a sterling silver design from the Home & Accessories collection. 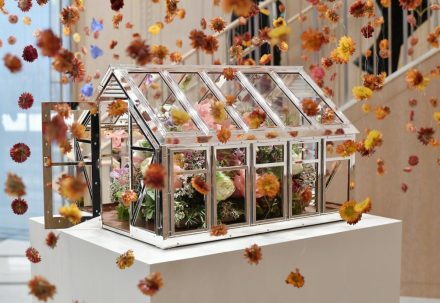 The façade of the store echoes the linear architecture of the greenhouse, while the design theme continues throughout the store with a large-scale greenhouse on the main floor and artistic floral creations.